Embracing a humble wooden exterior, each of these timber-clad homes communes with its natural surroundings. 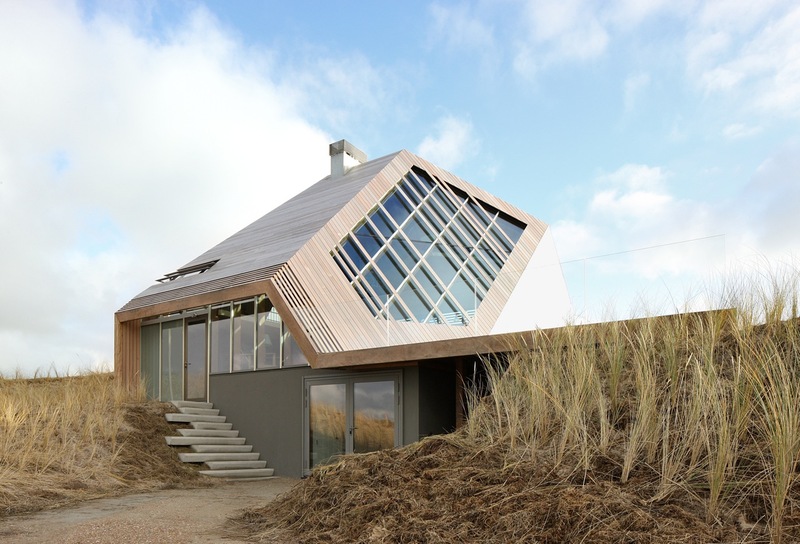 Cropping up from the stark dunes on the island of Terschelling in the Netherlands, this home was designed by Mark Koehler Architects. Using prefabricated materials for the exterior allowed Koehler and his team to drastically reduce building time during the construction phase. Cross-laminated timber panels (CLT), laser-cut in the factory and assembled at the site within two weeks, add structure and aesthetic interest to the top of the home. In Spain, residents Josemaria Churtichaga and Cayetana de la Quadra-Salcedo purchased a parcel of former farmland to build their vacation home twelve years ago, but only recently completed the house—a timber-clad minimalist structure expertly designed to disappear into the scenic landscape. This striking, blackened timber house in the Netherlands was built on the site of a former fire. Using prefabricated elements, Bas van Bolderen Architectuur and Studio Puisto Architects were able to complete the dwelling in just eight months so the residents' lives could return to normal. Wall elements were constructed in Germany, then transported to the Netherlands, where the house was erected in just one week. This timber-clad Skeabost Wood Cottage, located on Scotland's Isle of Skye, demonstrates a smart—and superlocal—approach to building in far-flung locations. The prefab prototype, evoking the simple agrarian barns and outbuildings of the Highlands, are mostly made from materials sourced in northern Scotland.